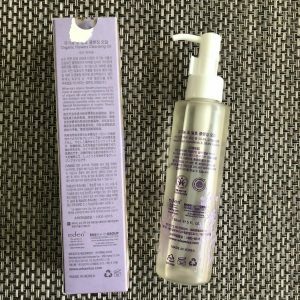 With a silky consistency, this mild cleanser is formulated with hazel, argan and jojoba seed oils to effectively remove make up and daily pollutants. Includes lotus flower and dandelion ferment filtrates to soothe and condition skin. Ingredients are supercharged with our signature fermentation process for maximum efficacy. Dispense onto dry hands. Gently massage on face to remove make up and cleanse face. Wash off. Use daily at night to remove make up and other oil based products. 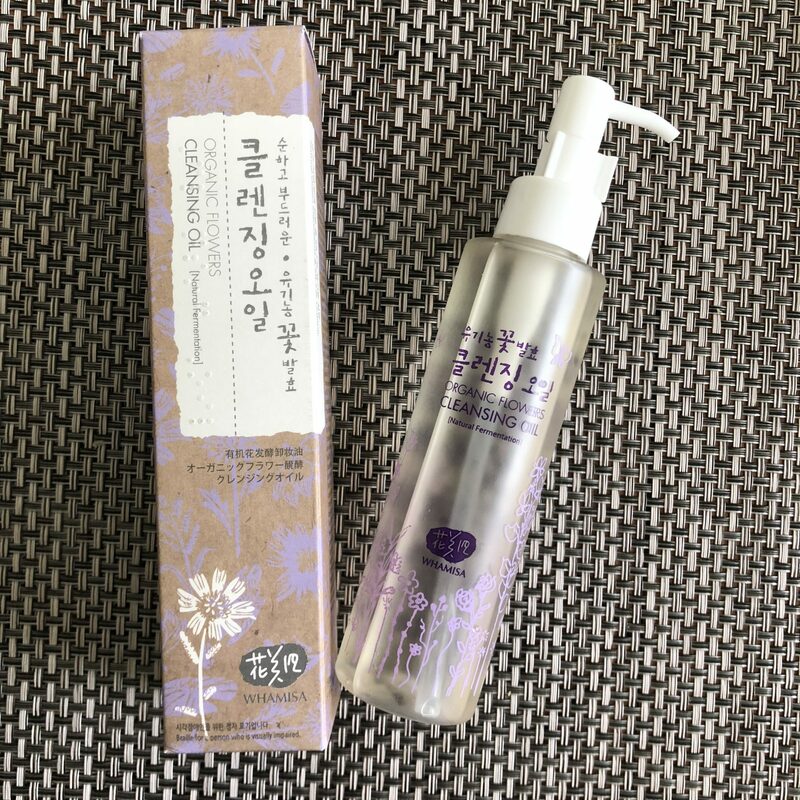 I’ve tried plenty of oils and cleansing balms and the Organic Flowers Cleansing Oil by Whamisa is on my absolute must-have list because of how great it is at cleansing even the toughest waterproof make-up. 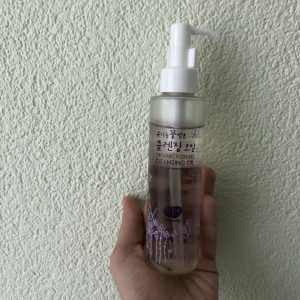 If I’d have to mention a runner-up for this oil cleanser, it would be the Time Revolution Brightening Care oil cleansing balm by MISSHA even though the textures are so far away from each other the end result of both on the skin is quite similar. The bottle is clear with some pretty purple flowers on it and contains 150 ml. The oil is transparent and very fluid. The scent is very remarkable and is a signature Whamisa Organic flower scent. It has a hue of natural mixture of aroma oils such as bergamot and some flowers. It lingers a bit on the skin until you proceed to the second cleansing step. If you have a dry skin and use no make-up you could only use the oil cleanser and stop there in order to moisturize your skin. This oil is everything when it comes to removing my waterproof super-heavy-duty mascara and it is excellent at that. 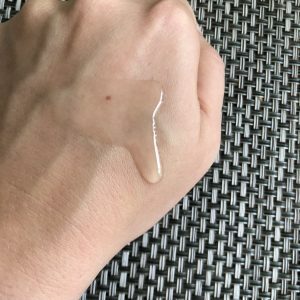 I apply one pump of the oil onto my dry skin and work it in in circular motion. 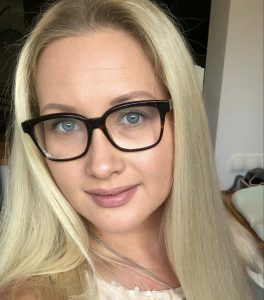 All of my make-up is melting of in seconds and what I love a lot about this oil, even if it gets into my eyes, there is no sign of irritation. After I feel that everything is dissolved I wet my hands and rub my face some more to emulsify the oil a bit prior to rinsing it off. That usually takes 20-30 seconds. Then I rinse everything off with water and my skin is super smooth and clean looking. Since my skin is oily and blemish prone, I always have to do the 2-step cleansing so I proceed with that and I’m good to go. 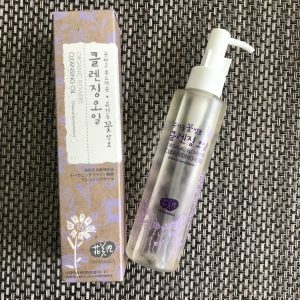 I will be repurchasing this oil again and again because I do see great results from using the entire line of Whamisa on my skin has improved it’s appearance and glow from within. If you are not sure whether something like that is for you, get the sample size first. I’ve done it with nearly all of the Whamisa products before buying them full size and I am very happy I’ve tried that brand.